Whole Foods Cheddar Latest In String Of Cheese Recalls : Shots - Health News Bravo Farms is recalling all of its cheese, including cheddar it makes for Whole Foods, after E. coli and listeria was found at its plant. Earlier this month, the company recalled gouda sold at Costco. Before you put together that holiday cheese tasting party, you might want to check out a few labels. Whole Foods Market announced a pretty high profile cheese recall in five Western states on Thanksgiving day, affecting several kinds of cheddar. But all kinds of cheese has been recalled this month for potentially making people sick. Bravo Farms of California recently announced that it was recalling all of its cheese - including the cheddar sold under Whole Foods' label. That's after it already recalled some of its Dutch-style Gouda earlier this month because of E. coli. E. coli can cause diarrhea and cramps, and can be serious or even fatal. Twenty-five people have reported getting sick from the cheese. Nine of them have been hospitalized. In a statement, the company says inspections at the plant also found evidence of listeria contamination, but no one has reported getting sick from that. Bravo Farms is cooperating with the FDA. 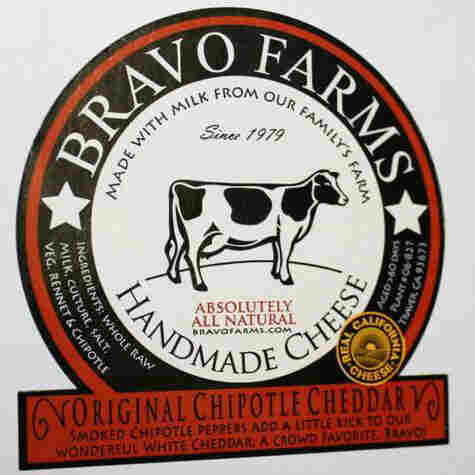 Bravo Farms sells cheese at retail stores throughout the United States, mainly in western states. Officials couldn't be reached for comment on Friday. Unrelated cheese recalls this month have included gorgonzola by Mauri Brand and sold at Costco and queso fresco from a company called Del Bueno. Queso fresco and other fresh, unpasteurized cheeses are beloved by foodies for their flavor. But they are often fingered for causing foodborne illness. The FDA has been accused of being overzealous when it comes to raw cheese, prompting at least one recent protest by a small farmer, but regulators say it's safety, not size, that matters in a recall. Food safety attorney Bill Marler has a 2010 hit list of the recalls associated with raw cheese and raw milk right here.